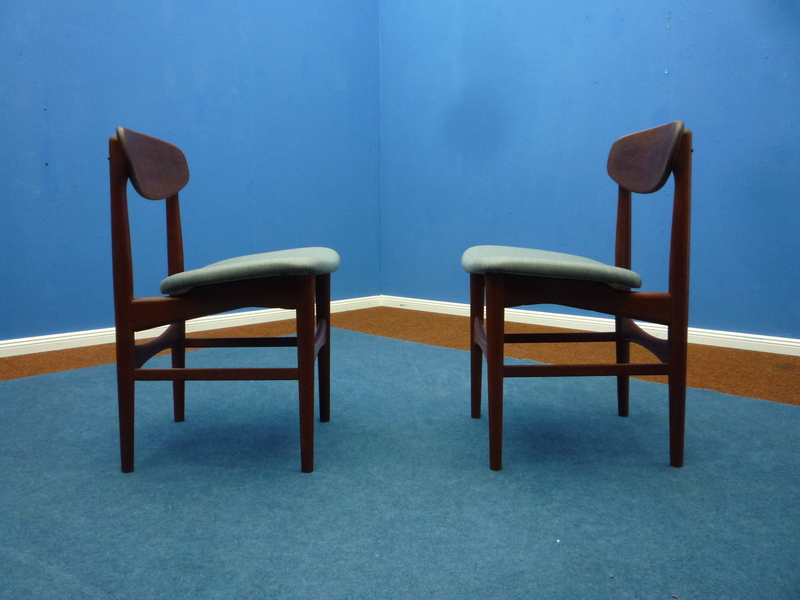 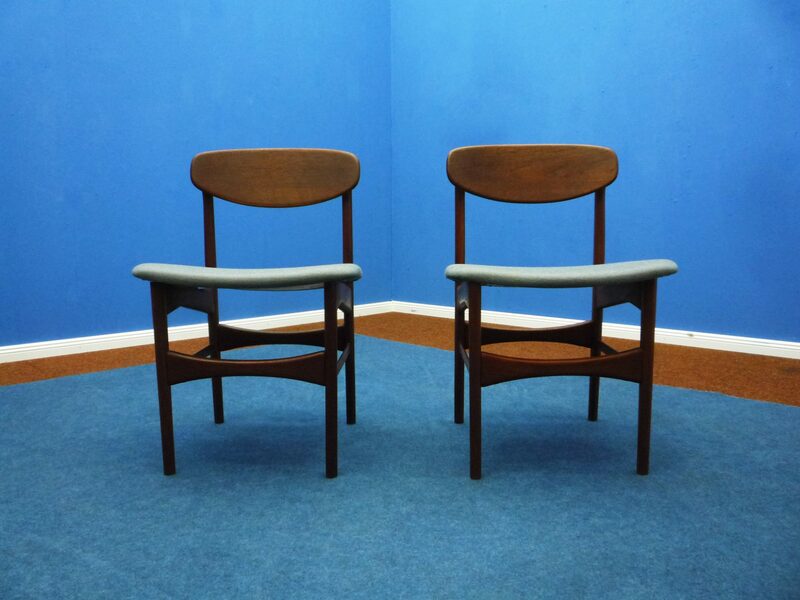 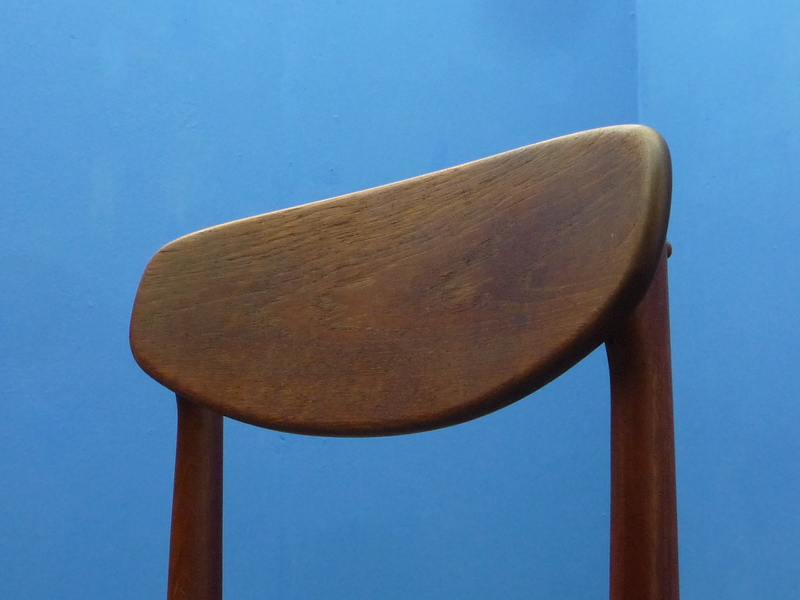 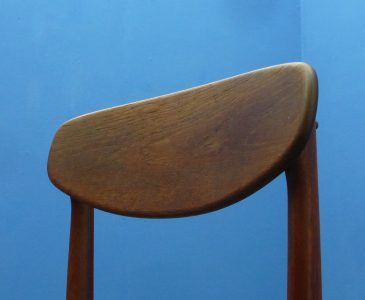 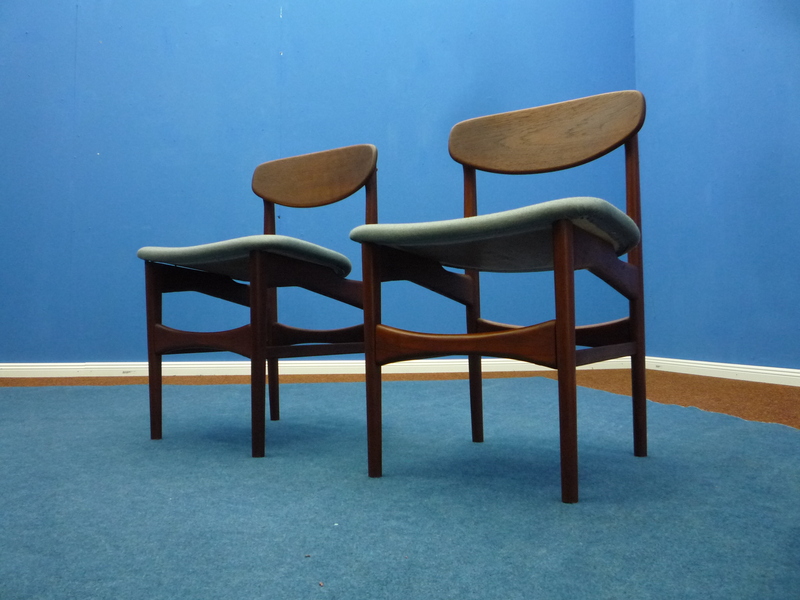 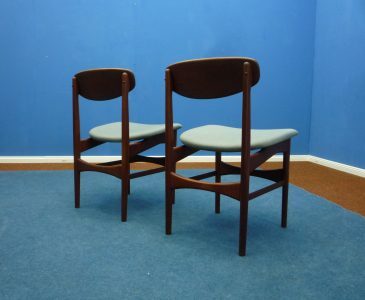 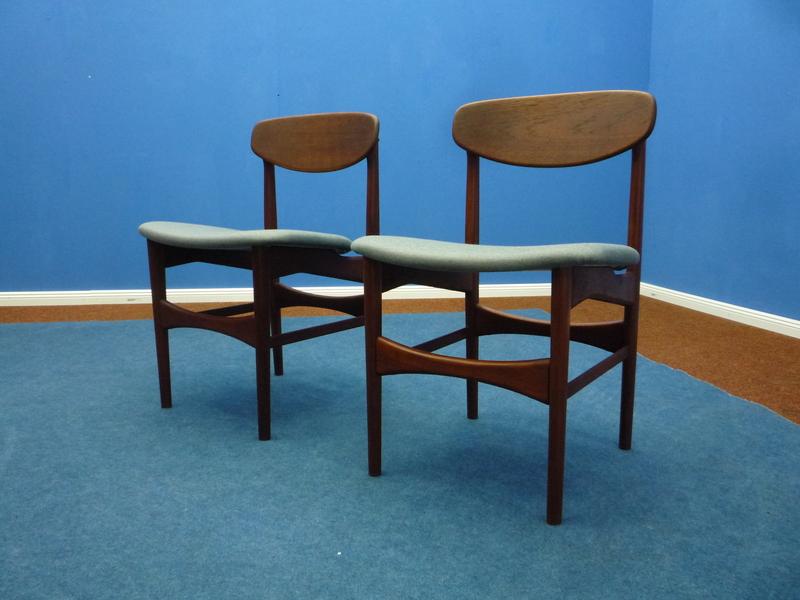 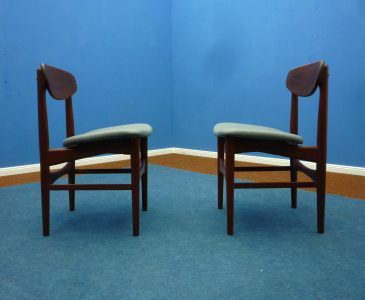 Two very fine teak chairs from Denmark. 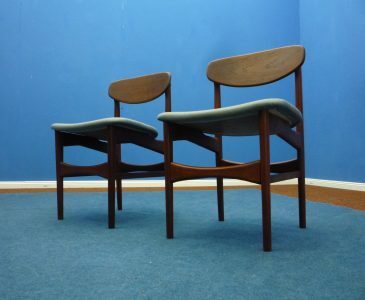 Great design by Hovmand Olsen. 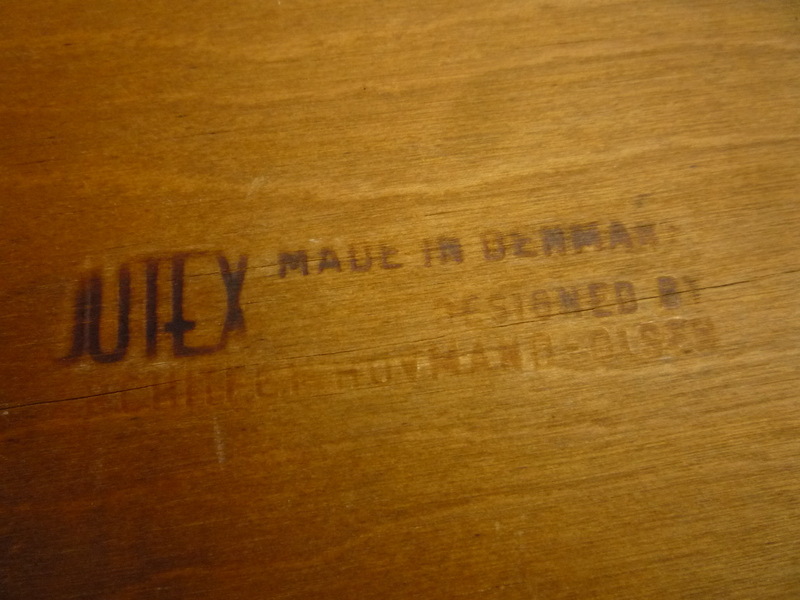 Very old version from the 50s. 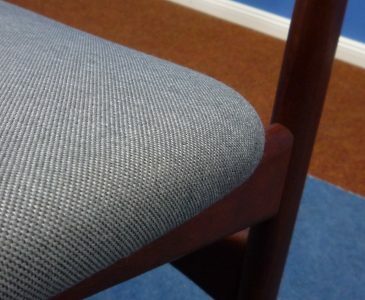 The seats were freshly padded and covered with a matching, light gray fabric. 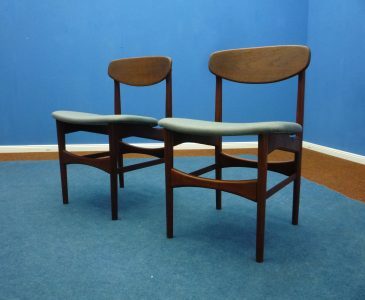 Both teak frames are stable and show minor signs of wear. 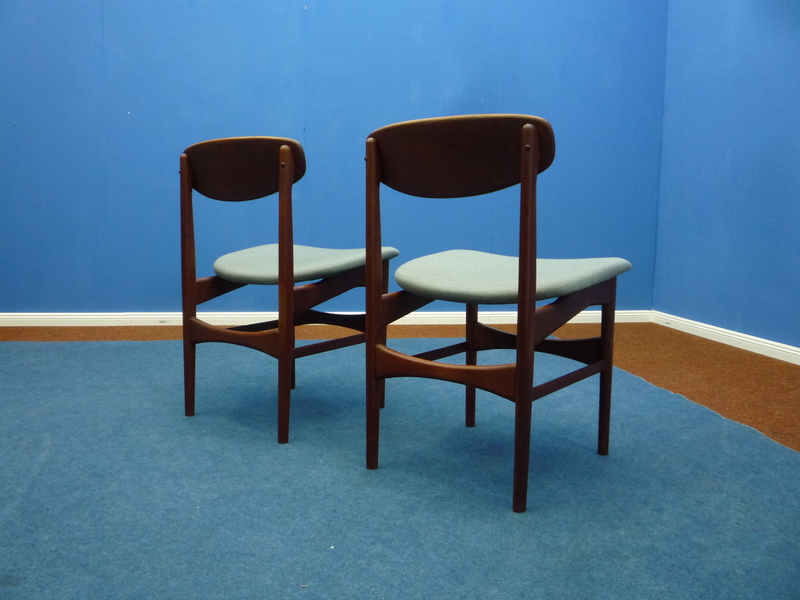 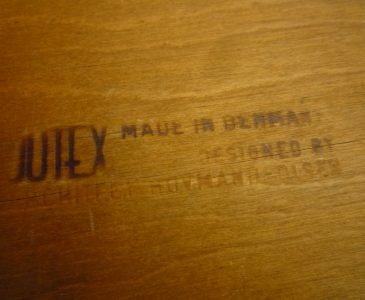 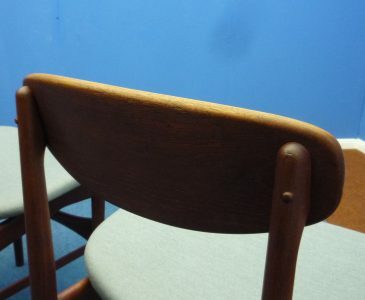 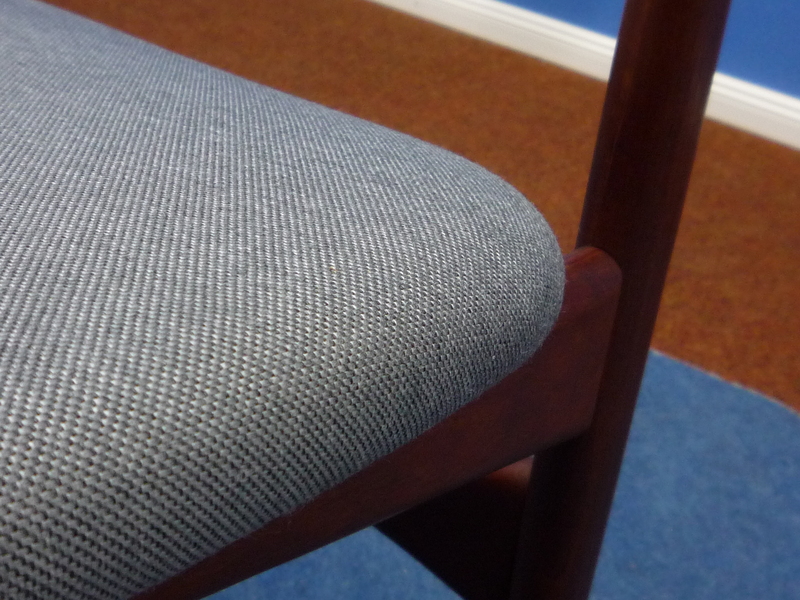 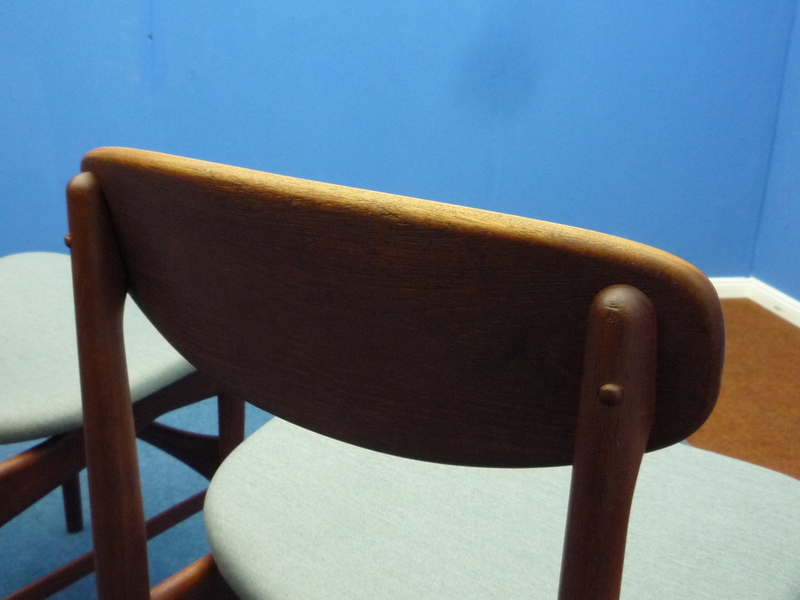 The chairs are over 60 years old and in very good condition.